Obituary for Levenia "Bean" A. (Thompson) Mondo | Heller-Hoenstine Funeral Home, Inc.
Levenia A. "Bean" Mondo, 78, of Burnham, passed away unexpectedly at 10:21 a.m., Tuesday, April 9, 2019, at Geisinger-Lewistown Hospital. Born Oct. 24, 1940, in Lewistown, she was a daughter of the late Cecil and Esther "Bessie" (Corbin) Thompson. In addition to her parents, she was preceded in death by her two brothers, Cloyd "Toad" and Harold Thompson. Levenia is survived by: her husband, Milton D. Mondo, whom she married May 27, 1961; children, Gloria Peachey and husband, Crist, of Yeagertown, Christine Peoples and companion, David Fowler, of Port Royal, and Kim Mondo, of McClure; four grandchildren, Justin McKnight and wife, Katie, Joshua Peoples, Nathan Knepp, and Haylee Knepp; three step-grandchildren, Morgan, Blake and Marissa Peachey; two great-grandchildren; and sisters, Dorothy Olnick, of Burnham, Mary Specht and husband, Gary, of McClure, and Mona Renninger, of Lewistown. She graduated from Lewistown High School, Class of 1958. She was a member of God's Missionary Church in Lewistown. Levenia was employed by Scotty's Fashions as a garment hemmer for 30 years before retiring. Levenia was a great cook and loved family reunions and holiday gatherings, and simply enjoying day-to-day life with her family. She also enjoyed reading and knitting. 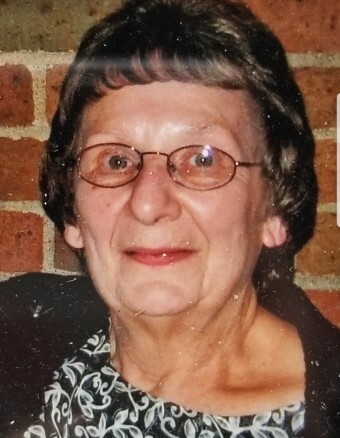 A viewing will be held from 12:30 to 2 p.m., Friday, April 12, 2019, at Heller-Hoenstine Funeral Homes, 108 First Ave., Burnham. A funeral service will follow at 2 p.m., with Reverend Darvin Donahey officiating. Interment is private and will take place at Birch Hill Cemetery. Memorial contributions in Levenia's memory may be made to God's Missionary Church, 1107 W. Fifth St., Lewistown, PA 17044.